Named for the ubiquitous rocks that permeate almost every landscape of New Zealand, Greywacke’s wines are anything but. Surrounded by the enormous, large production vineyards and wineries of Marlborough, founder and winemaker Kevin Judd utilizes techniques that would make any board of directors squirm. As a founder and winemaker at Cloudy Bay for over two decades, Judd is no stranger to the increasing presence of big business in the wine industry. Cloudy Bay now produces over 100,000 cases a year and is owned by LVMH, the $37 billion luxury brands giant. Judd left in 2009 after 25 vintages with none of the billions but countless relationships and immense knowledge necessary to create his own company more focused on the wines than the P&L reports. “Greywacke has got to be fun,” Judd says. Partnered with his wife Kimberly, they produce two Sauvignon Blancs, Chardonnay, Pinot Gris, Pinot Noir, and Riesling; the Sauvignon Blancs representing 70% of the 25-30k case production. If the public response is any gauge, they’ve succeeded. Now sold out every year and represented in over 25 markets worldwide, his wines exemplify the potential of mature fruit allowed to ripen fully and ferment naturally. Judd’s wines reflect this personality; a laconic, detail focused man unafraid to ferment his Sauvignon Blanc on its own natural yeasts for a year, come what may. This wine, his Wild Sauvignon, is complex with creamy texture and weight yet retaining focused and balanced acid structure. It leans more toward the vegetal/asparagus than Judd’s more traditional Sauvignon Blanc described as a “cousin more than brother” that sees only 10% of the spontaneously fermented juice. This wine is a much more familiar interpretation of New Zealand’s favorite variety. Lean tree fruit and citrus berries are supported by white pepper and cured meats. During our tasting, Judd produced a bottle of the 2009 Wild Sauvignon. While I do my best to be neutral when it comes to these reviews, I have to give credit where its due and gush here. This was simply the most interesting and delicious wine I’ve tasted in recent memory. Gone was the sulfury asparagus, replaced by a softer, green fig driven midpalate. Still retaining a fine, bright initial acid, it deepens with a creamy touch of old oak and almond skin. Structurally, the acid was retained throughout into a long finishing mouthfeel that gave little hint to its 14% alcohol. A wine I will seek out again and age even longer. Everyone that has the opportunity to taste Greywacke’s lineup has a different favorite. The chardonnay derives from the difficult Mendoza clone and also shows its wild roots, with struck match and cedar among the fleshy apple fruit. The Pinot Noir, from mostly Dijon clones from the hills of the Southern Valleys of Marlborough is spicy and ripe without being flabby. Dark and opulent without losing the structure of its texture. The Pinot Gris and Riesling bring one right to Alsace with the former being a delicate and elegantly floral wine with just a bit of residual sugar and some sweet cereal. 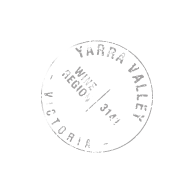 Older vintages develop the petrol notes and lean nuttiness while still retaining their acid. Rieslings are just as pretty with a mild petrol even young. The white stone fruits give way to tart green apples and savory characters due to the wild fermentation. Greywacke’s wines are highly recommended across the board, something rarely seen and much admired. As someone who lugs heavy camera gear around the world and carries hand wipes due to petting every farm and street dog I can, its obligatory for me to mention Judd’s other profession. An accomplished photographer, he’s published multiple books of his work; one being a series of collections featuring the winery dogs of New Zealand.